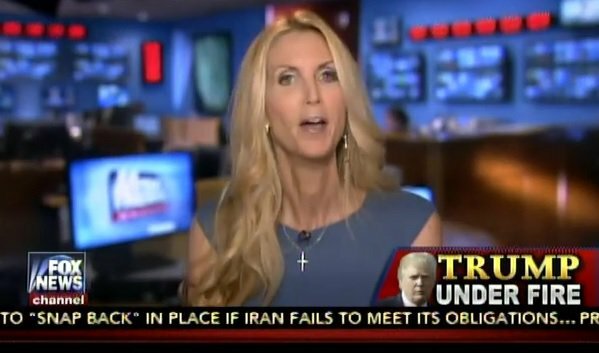 Ann Coulter Excuses Trump’s Extramarital Affair: It Started In A Church! 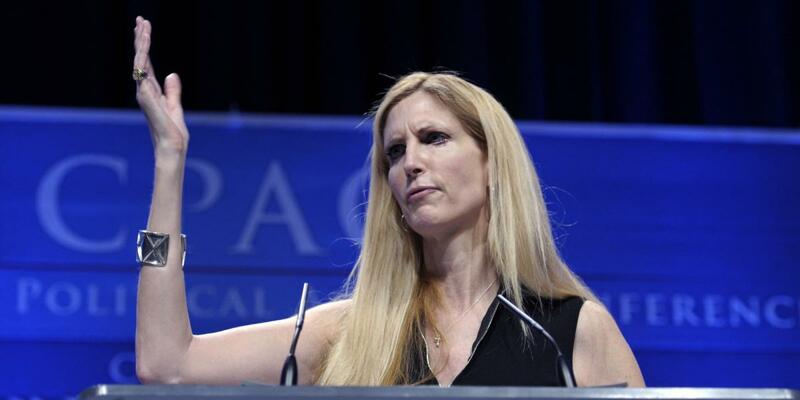 Ann Coulter, the conservative author who has been campaigning for Donald Trump, whom she believes God is using to save America, stopped by “The Eric Metaxas Show” yesterday to praise the GOP presidential frontrunner for never dabbling in drugs or alcohol. “Allegedly,” Coulter said with a laugh. “He kept going to some, like, Fifth Avenue Presbyterian Church, kept meeting Marla Maples there, got to know her as a friend and at some point he apparently went to the pastor and said, ‘I think I’m in trouble, I’m falling in love with this woman,’ and then he did marry her,” Coulter said. Trump, she said, is unlike other politicians who have had “sleazy” affairs.